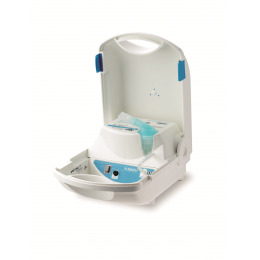 Adult, child & infant minidose nebulizer for classic aerosol devices. 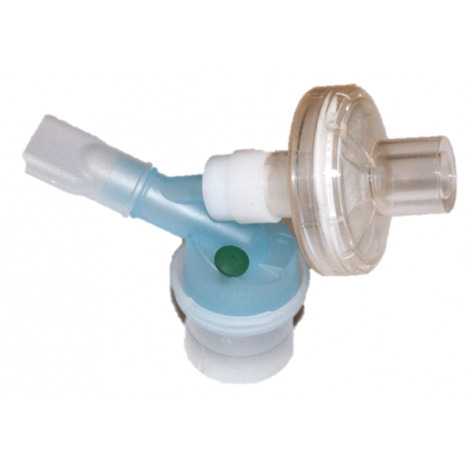 The nebulizer EXTRANEB is compact, lightweight and very easy to use. It is suitable for toxic drugs that must not be dispersed in the air. 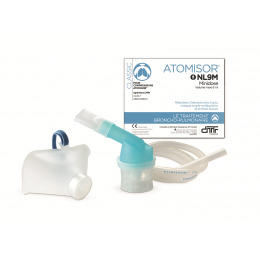 More precisely, it is designed for alveolar aim drugs and low dosage prescriptions. 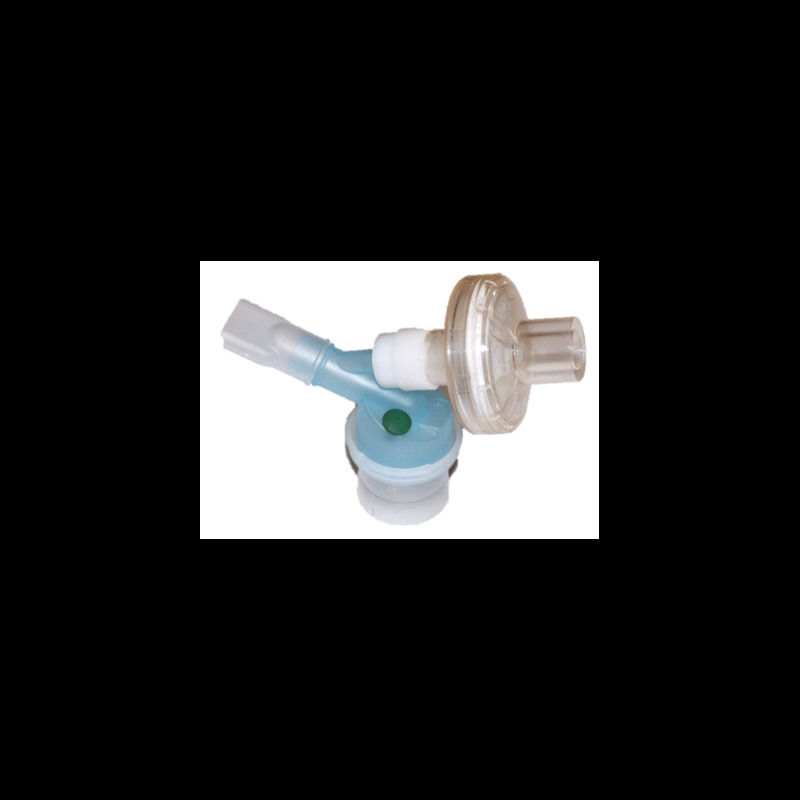 It is made of the EXTRANEB nebulizer body, a single use retention filter attached to the expiratory circuit and a valve placed on the additional air entrance. The nebulizer with its filter is for single use and has to be thrown away after the treatment. The nebulizer and the accessories (tube, mouth end-piece) will be sterilized in boiling water at home. - Filtration effectiveness: 99.99% .